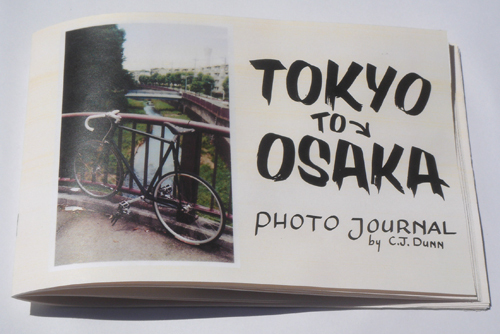 Tokyo to Osaka Photo Journal is a new book with 38 pages of photographs and writings by CJ Dunn from the Tokyo to Osaka trip. This is an expanded version of the article published in Contrast magazine with all new photographs and journal entries from each day of the bicycle journey through japan. Available at the Bicycle Film Festival Street Party and in the Copter Design Store (sold out).